Experience Bermuda at Grotto Bay Beach Resort & Spa where there is always a memory for everyone! 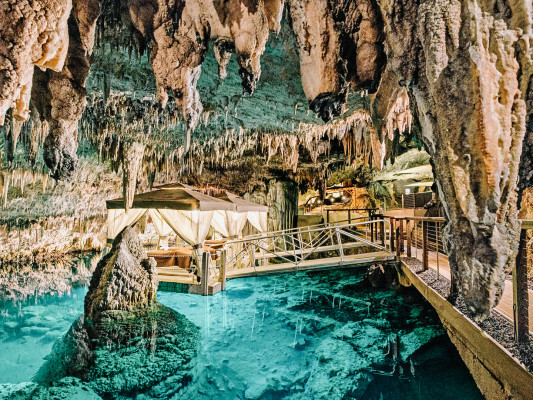 The Resort sits on a lush tropical estate featuring dramatic caves and acres of woodland preserves along the water's edge in Bermuda's Bailey's Bay. 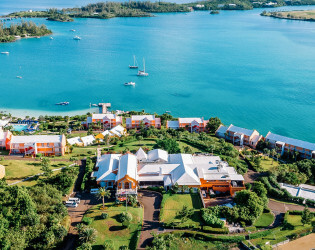 Scattered over 21 acres and sloping down toward three private beaches are 11 colorful cottages in traditional Bermuda Architecture overlooking the turquoise waters dotted with small islands. 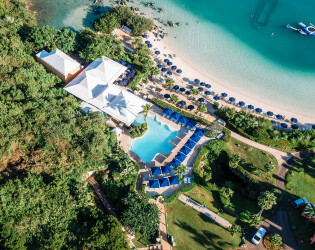 Grotto Bay Beach Resort sits on a lush tropical estate featuring dramatic caves and acres of woodland preserves along the water’s edge in Bailey’s Bay. 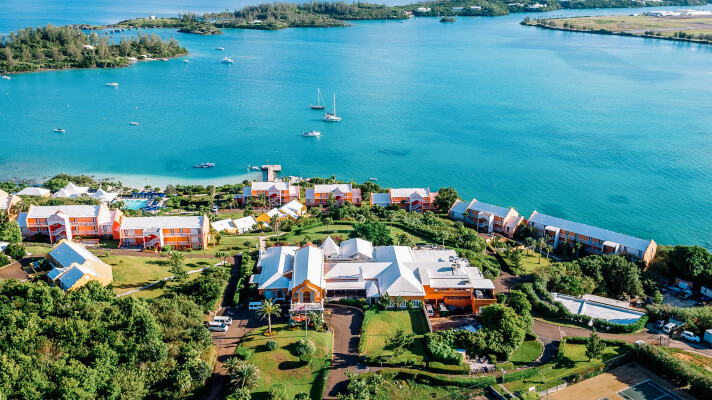 Scattered over 21 acres and sloping down toward three private beaches are 11 colorful cottages in traditional Bermudian architecture overlooking the turquoise waters dotted with small islands. Guest room rates are subject to occupancy tax of 11.75% and a service charge, which is currently $12.50 per person, per night. Charges for food and beverages are subject to a 17% service charge. 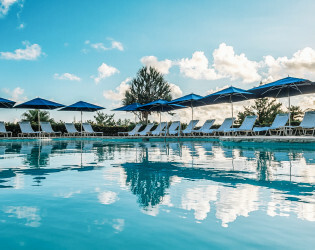 No taxes apply to food & beverage charges in Bermuda. 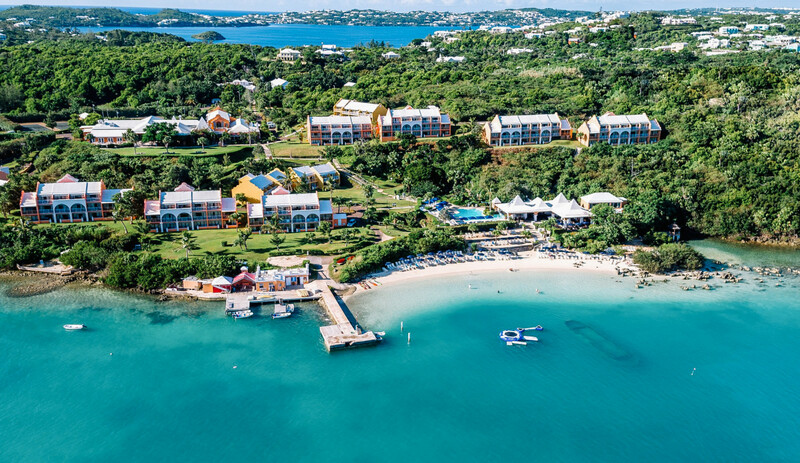 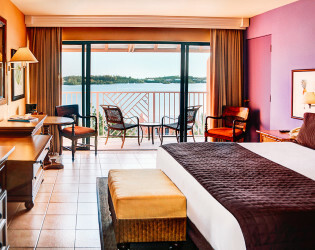 Grotto Bay Beach Resort is a full-service resort with 201 rooms in 11 cottages. 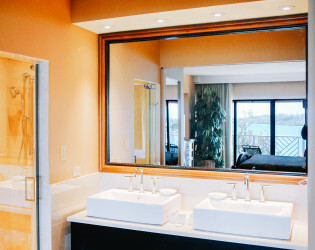 Rooms are furnished with custom designed traditional island furnishings and feature a marble bathroom with a traditional pedestal sink. In-room amenities consist of a coffeemaker, iron and ironing board, refrigerator and a safe. 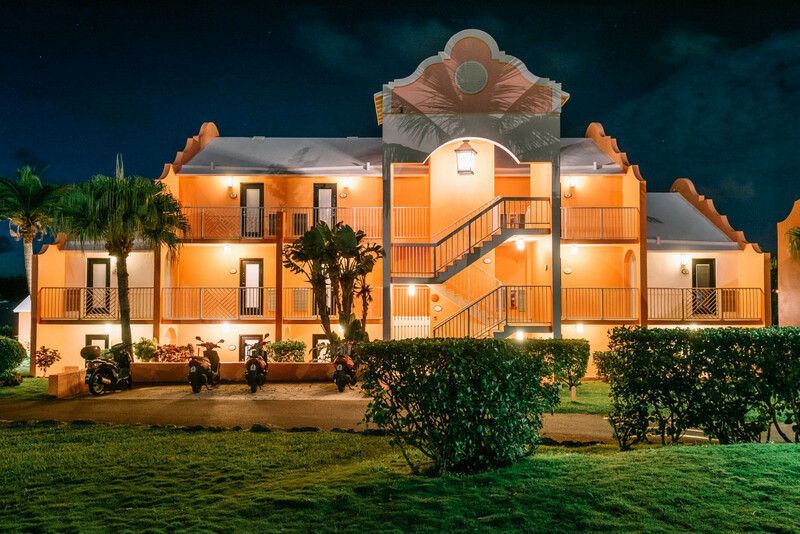 Free WiFi is accessible throughout the resort. Superior rooms are located on the first floor, while the Deluxe rooms are on the 2nd or 3rd floor. 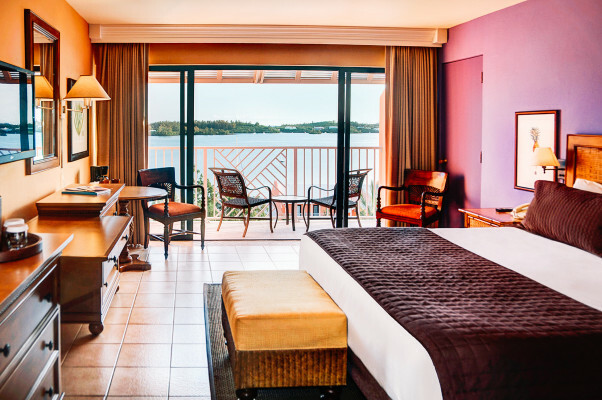 All ’Ocean Front’ rooms are located along the waterfront; ’Ocean View’ rooms are on the top of a ridge that features fantastic views. 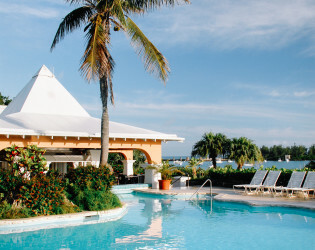 Experience Bermuda at Grotto Bay Beach Resort & Spa where there is always a memory for everyone! 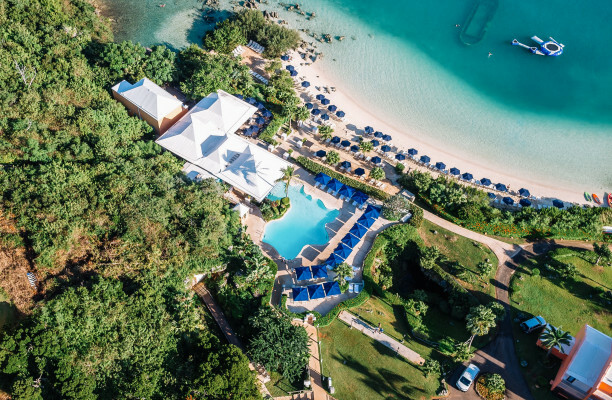 The Resort sits on a lush tropical estate featuring dramatic caves and acres of woodland preserves along the water's edge in Bermuda's Bailey's Bay. 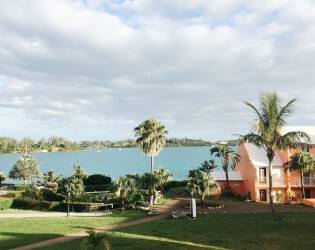 Scattered over 21 acres and sloping down toward three private beaches are 11 colorful cottages in traditional Bermuda Architecture overlooking the turquoise waters dotted with small islands. Swim in the shallow waters of their private pink sand beach or in the freshwater pool, or languish in the outdoor Jacuzzi located in a beautiful garden setting above the beach. 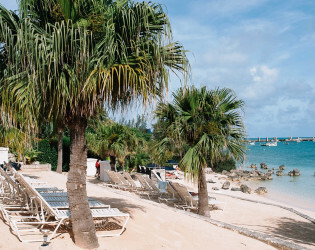 Sail, snorkel, windsurf, dive ancient wrecks or explore the delicate and beautiful coral reefs. 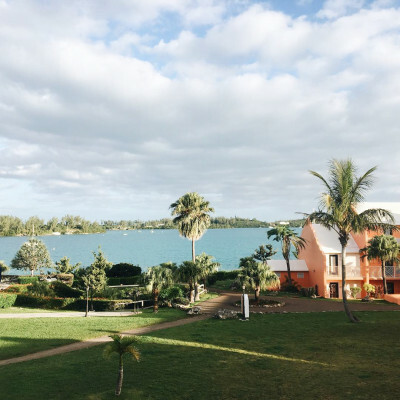 Take a boat cruise on a sunny afternoon or during a glorious sunset. 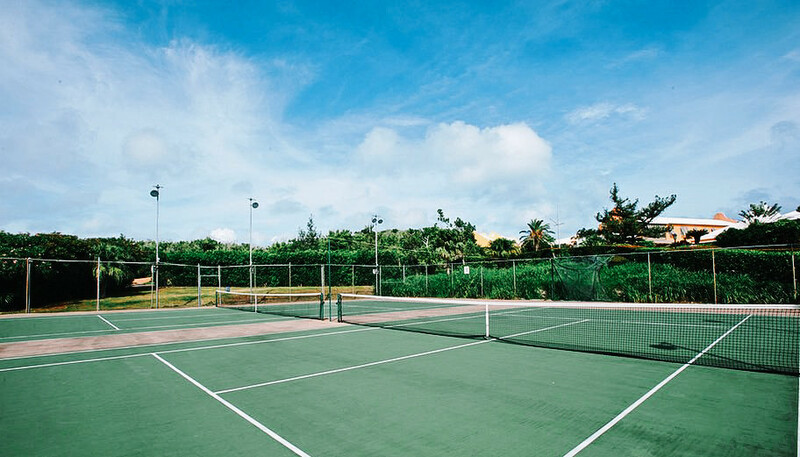 Play tennis night or day, or work out in the new gym. 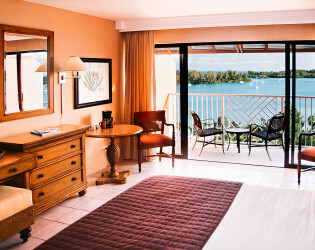 Grotto Bay Beach Resort & Spa is conveniently located within five minutes of two of Bermuda's finest golf courses. 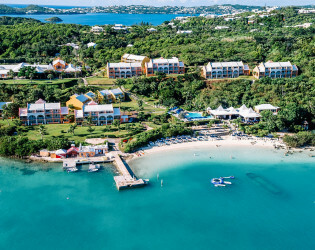 Grotto Bay Beach Resort & Spa offers two fine-dining options. 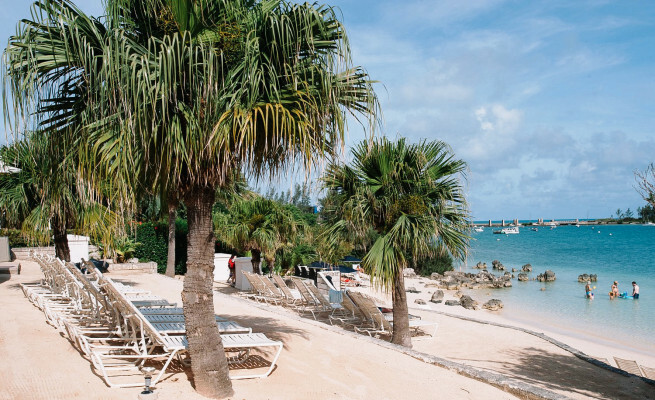 At The Palm Court, enjoy a relaxed and tropical atmosphere for casual dining with an island-inspired menu and exotic beverage menu, there is something for everyone's taste. Or try the elegant Hibiscus Room that features traditional European cuisine with a Bermuda flare – the perfect choice for more formal dining. 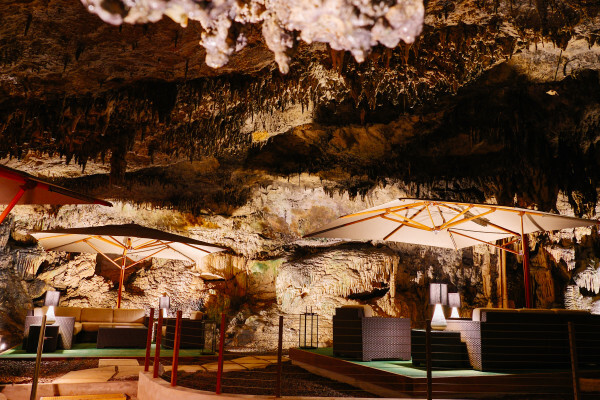 If you just want to grab a drink and mingle, head to the Rum House Bar. 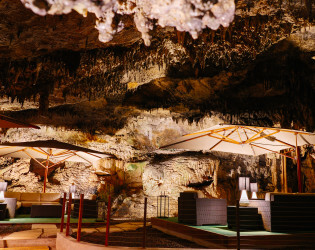 Up next, relax at the onsite cave spa where there are a variety of different types of massages, facials, manicures, pedicures, and body scrubs to choose from. 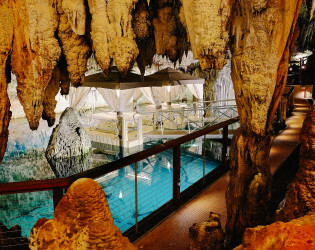 What better way to rewind and reconnect than to be gazing down into crystal clear, turquoise-hued, mineral water while receiving a signature spa experience performed in a natural, unaltered cave. 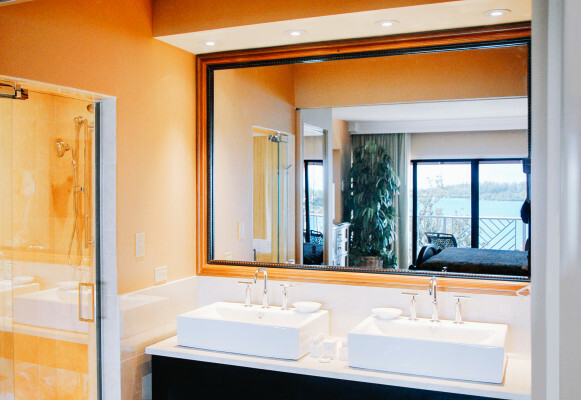 Insert the mesmerizing sounds of natural dripping water amidst soothing soft music. With a committed Catering Coordinator and passionate Food & Beverage team like ours, all your catering needs will be exceeded, leaving no room for disappointment. The delectable entrees accompanied by flawless service and sprinkled with the islands pristine beauty as decor, allow any function to be a guaranteed success. 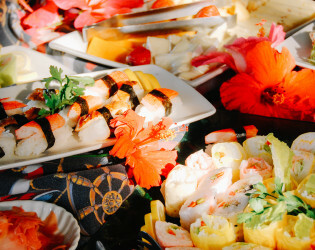 We are happy to assist you with arranging photography, wedding cake, flowers, reception and music. 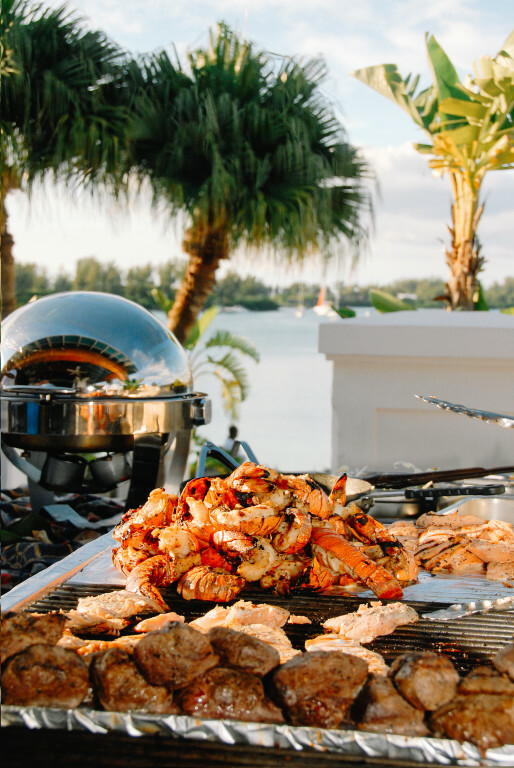 With three restaurants on-site, the professional food lover in you is sure to be satisfied. 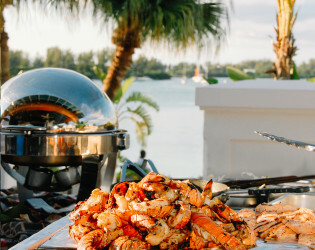 It is more than simply ‘a meal’, it is where you talk about the day’s adventures while sipping an ice-cold Rum Swizzle with family and friends. 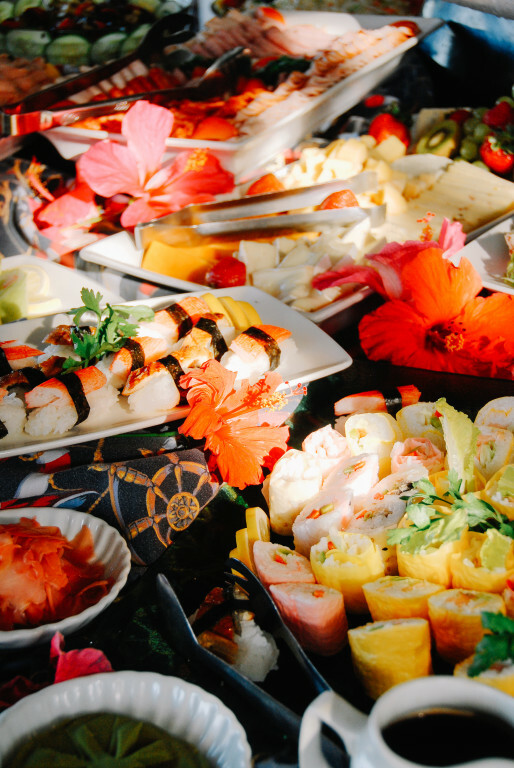 It is where you will spend a lot of your time so our Food & Beverage team has ensured you and your taste buds will not be disappointed. 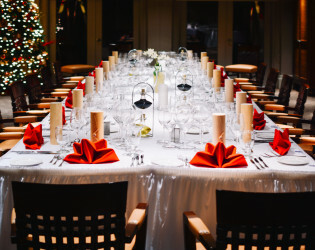 Our more formal dining room serving breakfast, lunch and dinner. Elegance in soft hues of coral, beige and crisp white echo tropical sophistication in our newly decorated and renovated formal dining room, The Hibiscus Room. 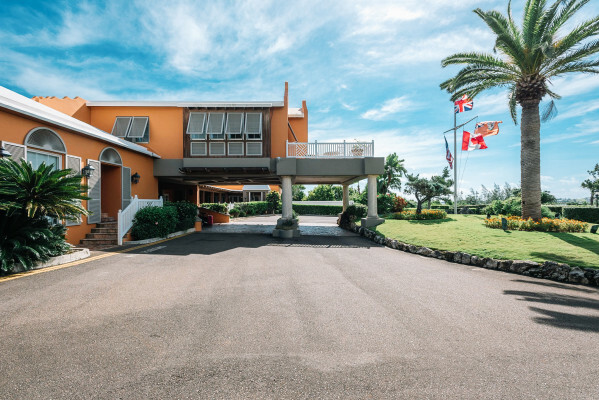 Here you will enjoy fine traditional European cuisine with a Bermudian flavor which changes daily. 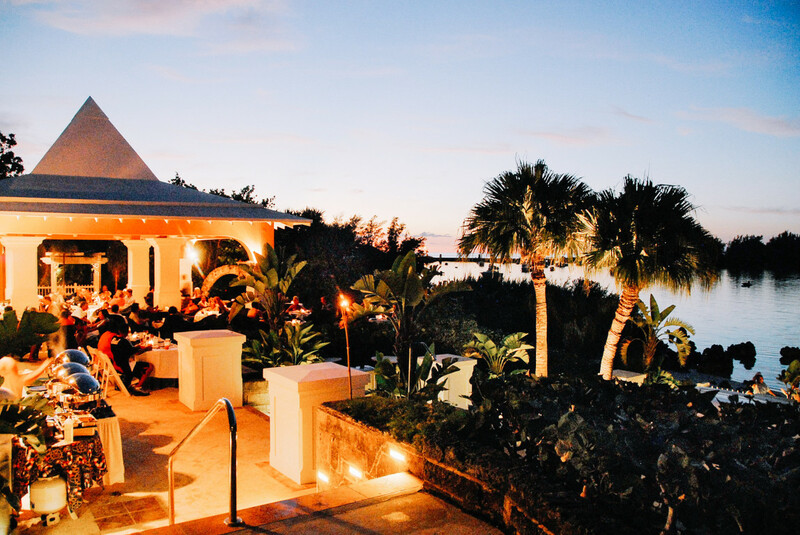 Open for Breakfast and Dinner year-round. 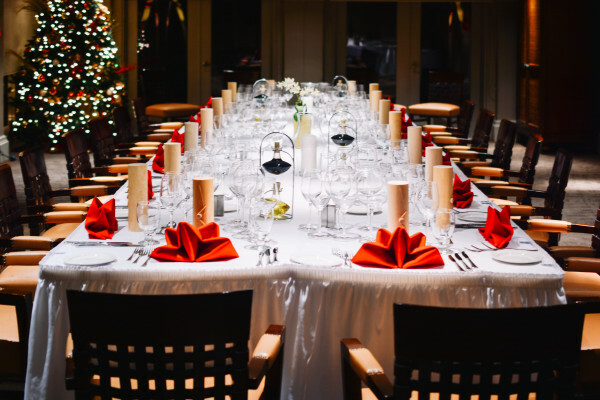 The Hibiscus Room is the perfect choice for more formal dining. Open for casual dinner and light fare. 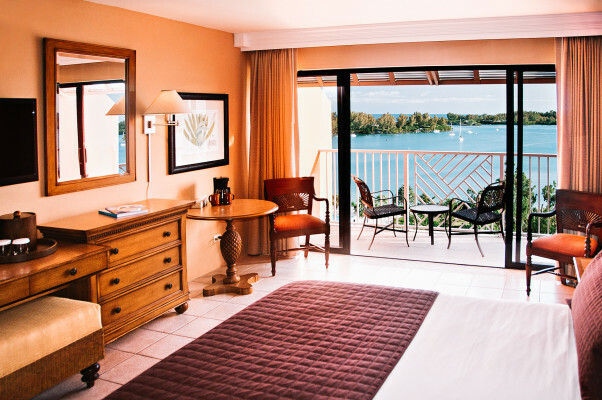 The Palm Court has just undergone an exquisite redecoration and renovation. 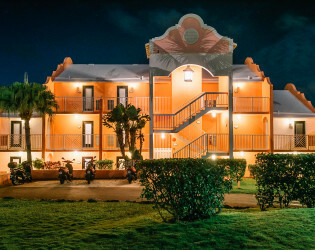 Stately palms, natural sisal details, mahogany, terracotta tiles and trade wind motifs deliver a relaxed and tropical atmosphere for casual dining. 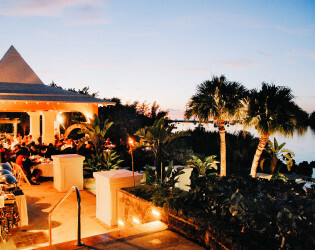 An Island inspired menu, along with an exotic beverage menu ensures your enjoyment for dinner. 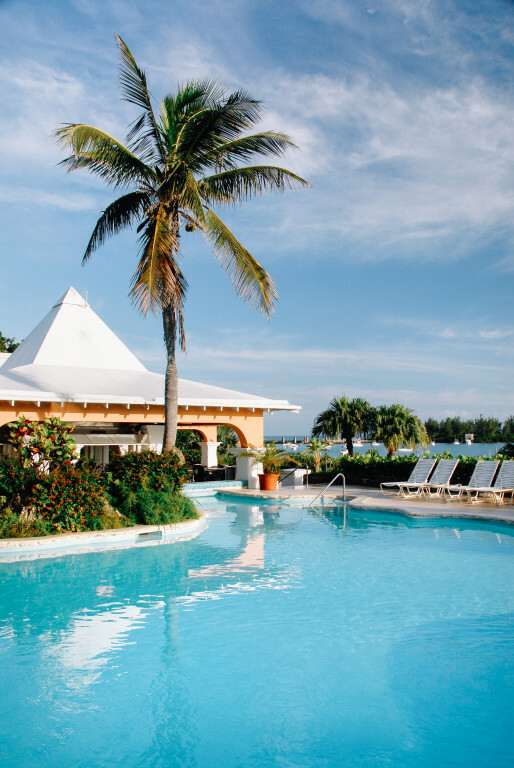 The Palm Court also features an elegant new bar offering all of your favorite cocktails, wines and beers. The Main Bar located in the Great House is open 5:00 pm to 1:00 am nightly, with a wide range of live entertainment most days throughout the week (changes vary on season). 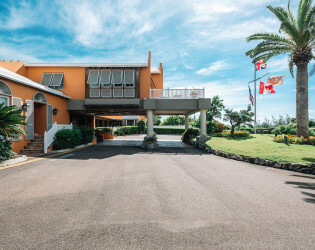 The Bayside Bar or Rum House Bar are always fully loaded with premium brand liquor, beers, frozen drinks and wine and we encourage you to try some of our more ’local’ cocktails. 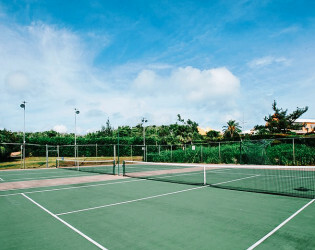 But watch out as some can have a bit of a kick! Looking for one of the most luxurious and unique spa experiences in the world to ring in another year around the sun? 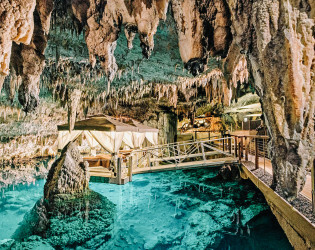 Look no further than Bermuda for your next birthday bash, where you’ll have the chance to enjoy a massage inside a 500,000-year-old grotto courtesy of Grotto Bay Beach Resort & Spa’s Natura Spa. 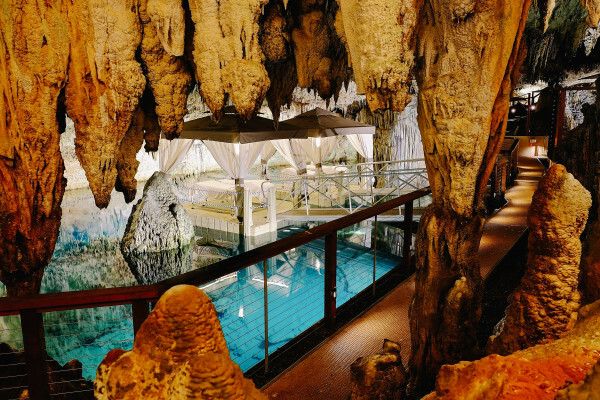 A little background, the property innovatively helped its guests tick off their wanderlust, wellness and mermaid goals when it created this subterranean spa, located inside a grotto filled with spectacular stalagmites and stalactites. Fun fact: It's named after the famed Shakespearean character from “The Tempest,” Prospero.